I sent an email to DePaul University’s newsroom requesting further information regarding the (fake) American University of Malta and here is the reply I received. I decided to contact DePaul University on the Monday after the big news announcement was made in the local media. At the time, I was under the impression together with the rest of the Maltese that the new American University would be an overseas DePaul University campus. We were obviously all duped by the Prime Minister and his Middle Eastern friends, as this new American university will be just a tacky knock-off that has nothing to do with the original. Furthermore, DePaul University was merely subcontracted by Sadeen Education Investment Ltd (SEI) to produce the curricula, which were delivered on the 4th of May – a day after the BIG announcement was made by the government. This was a strategically and deviously planned charade – the Maltese government had sold that natural public space to the Middle Eastern partners months ago. 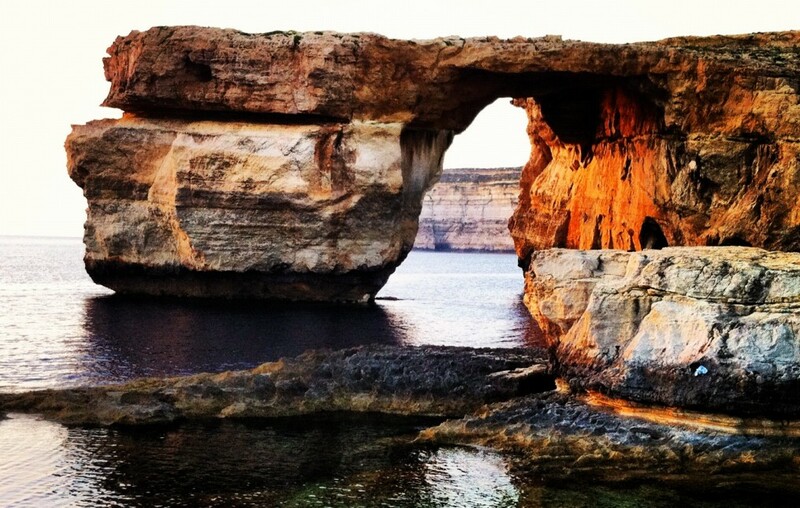 DePaul University is not establishing a branch campus and will not be issuing degrees in Malta. The Sadeen Education Investment Ltd (SEI) is seeking approval to establish the American University of Malta (“AUM”). As part of this process, SEI contracted with DePaul to provide initial curriculum materials for programs at AUM. More specifically, DePaul provided curricula for 5 Bachelor degrees, 1 MBA, and 4 Doctoral level programs. Such curricula were delivered by DePaul, as agreed, and submitted by SEI to the Maltese authorities on May 4, 2015, in order for SEI to receive a license to operate the American University of Malta as an institution of higher education and, subsequently, as a University. DePaul is willing to continue collaboration and cooperation with SEI and AUM, by providing consultative academic support to the project (further program development, policies and academic structures development). No agreement in this direction has been signed yet. One is under negotiation. DePaul has not committed any financial resources to the land being used, building(s) being built, infrastructure, programs, etc. There is no agreement in place to provide DePaul faculty or staff to AUM at the moment. DePaul will not be involved in hiring faculty or staff for AUM and will not be involved in AUM operations. DePaul has entertained no negotiation or discussion with the Maltese government in relation to the American University of Malta project. DePaul has no involvement nor responsibility nor authority nor knowledge related to the selection process for the site of the American University of Malta. I received a correction email from DePaul University’s Office of Public Relations and Communications, with a much ‘tamer’ set of facts (reduced to seven now). This new list omits the omnious “There is no agreement in place to provide DePaul faculty or staff to AUM at the moment. DePaul will not be involved in hiring faculty or staff for AUM and will not be involved in AUM operations”, but since I asked for permission to reproduce this email (attached below), I will retain the original for the perusal of disgruntled Maltese citizens. 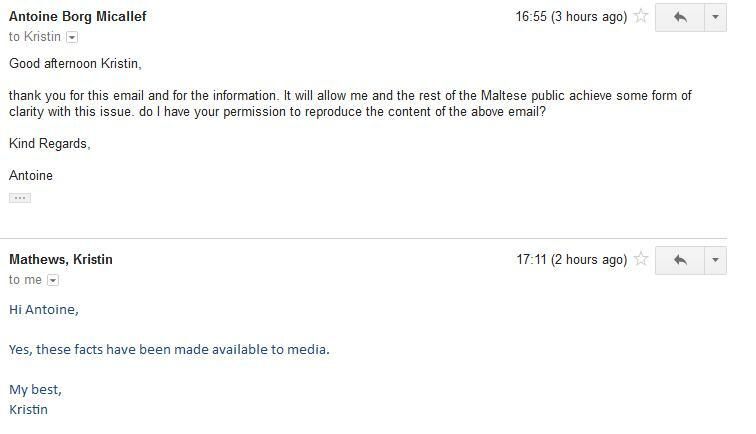 While it could have been a genuine fact that the original email was sent by mistake, I believe the three hour delay gives someone from SEI or Malta enough time to contact the PRO and express their disapproval. We apologize, but we inadvertently sent you the wrong document earlier today in our attempt to correct some of the misstatement of facts regarding DePaul’s relationship with the American University of Malta. Please disregard the previous version, and use this version instead. We apologize for any inconvenience this may have caused. DePaul University has read a number of misstatements in various Malta media outlets about our relationship with the American University of Malta, Sadeen Education Investment Ltd. Therefore, following are seven FACTS that we hope will set the record straight regarding that relationship. Sadeen Education Investment Ltd (SEI) is seeking approval to establish the American University of Malta (“AUM”). As part of this process, SEI contracted with DePaul to develop curriculum materials for ten programs at AUM: 5 Bachelor degrees, 1 MBA, and 4 Doctoral level programs. Such curricula were developed in collaboration between DePaul and AUM, represented by SEI, in accordance with an agreement signed between mentioned parties. The aforesaid ten programs, along with an application for University license, were all submitted by SEI to the National Commission for Further and High Education (NCFHE) in Malta on May 4, 2015 in order to license the American University of Malta as a University. Furthermore, DePaul is willing to continue collaborating and cooperating with AUM by providing consultative academic support to the project (further program development, policies, quality assurance, academic structure development and other issues as may be required). DePaul has no involvement in relation to financial resources committed to the project (land, buildings and infrastructure). DePaul has not been involved in any negotiation between SEI and the Maltese government in relation to the American University of Malta project.